I used to have all sorts of dreams of being the mom who woke up early and made homemade cinnamon rolls for her kids before sending them off to school. That mom has been replaced with one who wakes up with just enough time to roll out of bed, get dressed, feed the baby, and do a gazillion other things at warp speed before loading four kiddos into the minivan (in addition to a few extra neighbor kids) about 30 minutes after wake up. I am in survival mode right now and am just trying to stay sane with our new baby and three other crazy people. My oldest is awesome at helping his siblings get breakfast and I have become an expert at putting together outfits for kids at hyper speed while brushing my teeth and hair. My oldest can also make his own lunch and pack his bag and only forgets his homework every once in awhile. I feel so accomplished on the days when I do wake up before my kids and I manage to squeeze in a workout... but those days don't happen that often right now. The main reason I don't wake up early is because I am just too doggone tired!! I feel like I haven't had a good night of sleep since our oldest was born over 8 years ago (probably because I haven't-HA!). As an elementary school teacher I got some sort of crazy adrenaline rush when I was the first person to get to work in the morning. I don't feel the same way as a mom. Sometimes I wish I did... but I can't seem to get it back. I am perfectly fine as long as we pull into the parking lot at school in just enough time for the kids to get out and get to their classrooms while avoiding having to drag any of my littler ones out of the car to sign someone in as tardy. Right now I just need to cut myself some slack and not put myself down on a daily basis because I didn't wake up an hour or two before my kids to make super healthy lunches or breakfast from scratch. My workout clothes are just fine too. My kids are happy, we are never late for school, and I've gotten much better at planning ahead the night before to help our mornings go smoothly... since we have such little time. Do you wake up early? Before your kids? At the same time as your kids? How do you stay organized and get kids to school/activities on time without waking up too early? Do you have any great tips you can share? We are always trying to get more organized. We try and lay out clothes the night before and we also get bags all packed and ready the night before. We have simple breakfasts during the week that the kids can help make and we keep all of our stuff (especially all the baby stuff) in an easily accessible spot right by the door. We also start loading the car 10 minutes before we need to leave to be anywhere so that we are almost always leaving on time. Loading the car 10 minutes early leaves wiggle room for if someone forgets a coat or shoes or a lunch on the counter. Someday I hope to regularly wake up before my kids and enjoy the early hours of the day before the chaos ensues! I love the quote, "Don't let comparison steal your joy..." so I'm going to attempt to stop classifying myself as a bad mom as I look at all the other moms who look pulled together and so on top of things every morning when I am not. For now I am just going to embrace the fire drill-like start to our day and have a good attitude about it... until I have the energy to change it! Any time we have to be somewhere in the morning, I have to get the bags packed and clothes laid out (mine included!) the night before if I even want a shot at getting out the door on time! As a mom who is far from a morning person, with a 3 year old and a newborn, that's just the way it works! I also do better if I plan for an hour to get myself ready, because inevitably, the 3 year old wakes up and HAS to eat as I'm trying to brush my teeth, or the baby needs to eat as I'm getting dressed. I am learning that our mornings go much better and are much less stressful if I prepare the night before, and allow myself freedom to let things go and finish the dishes and make my bed later when we get home. Love this! I think it also has to do with how we are naturally wired. I am the antithesis of a morning person and even if I get up early, I don't function well (as my poor husband and kids can attest to). Ultimately (just like with everything else), we each have to do what works best for both ourselves and our families and not beat ourselves up (or exalt ourselves) when these choices look different. My youngest co-sleeps and night nurses from 3am until morning, so I can't get up without waking him. I typically shower at night, lay out tomorrow's clothes for the older 2 when I am tucking them in for bed, prep as much as I can for breakfast and making bottles after all 3 are asleep, pump, and lay out my own clothes the night before too, plus all the other house chores get done after kid bedtimes. The older 2 are usually up before 6am, and with the baby, there's just no time for me to wake up any earlier than I do. I don't get to bed until 11 or later, plus the 2 night wakings, getting up before my kids would mean 4 hours sleep a night and I can't function at work with that little sleep. And you work?? You are a rockstar. I feel like we share the same life! I dont't - I am not a morning person at all never have been, my time is the evenings and I need a full night sleep. My kids go to bed early so we have the evenings when I do my organisation - clothes for the next day out, lunches made and into the fridge to collect before school run in the morning and a shower or bath for myself. That means they get up early but my husband is an early bird and early to bed so he gets up with them I get some undisturbed sleep which I haven't had for 6 years due to having a child with a sleep condition and then get up with enough time to do everything to get the kids in the car and out the door. 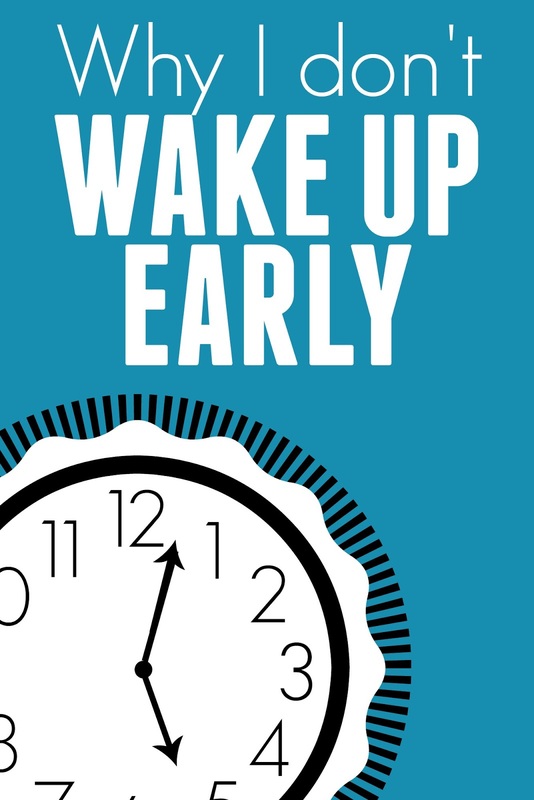 I have tried the wake up before the kids but 4am was before the kids and I would make a noise and the kids would be up as well it was a waste of time. I am a morning person, but I find that the earlier I get up, the earlier my daughter gets up. Even if I'm sitting quietly drinking coffee/folding laundry, she seems to sense that I am awake and is suddenly by my side. I've actually been trying to stay up later to get things done at night so we can both sleep a little later in the morning. 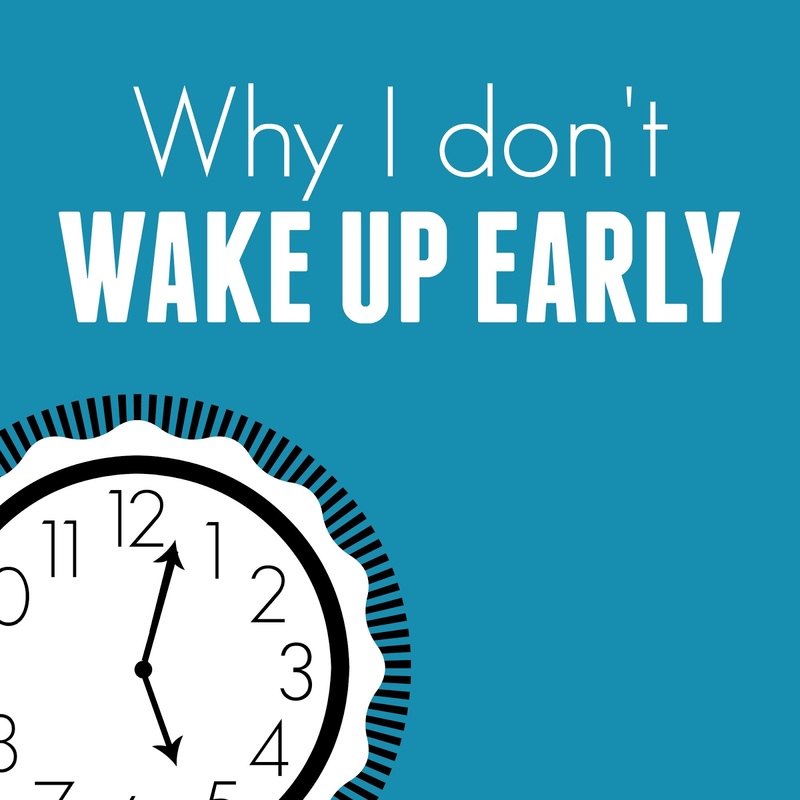 Yeah, i go to bed around 1:30 - 2:00 am, so I think it's about my routine making why i cant wake up early. Sometime I tried to change but it's hard to me. I have the same problem as you. I can not wake up early. Although I always talk to myself that you have to try to change your habit. Hoping after read your post I can fight again with my lazy and win it. I know exactly what you mean! No matter how quiet I am in the morning it's like the kiddos have a sixth sense!